The Trump administration finished off the Thanksgiving weekend by closing the busy San Ysidro border and firing tear gas into assemblages that included women and young children. This border stands between the neighboring but strikingly different cities of San Diego and Tijuana. As it happens, an exhibition that opened in September—a month before thousands of asylum-seeking migrants from Central America set out for the US—showcases “a vibrant cultural community” of artists from these paired cities. Titled “Being Here with You: Estando aquí contigo,” the exhibition is at the Museum of Contemporary Art San Diego (MCASD) until early February, and the timing couldn’t be better. On Thanksgiving Day, the mayor of Tijuana declared a humanitarian crisis as his already under-resourced city struggles to accommodate and feed approximately 5,000 migrants who have made it that far with hopes of a chance to enter the United States. Only 15 miles separate San Diego and Tijuana. 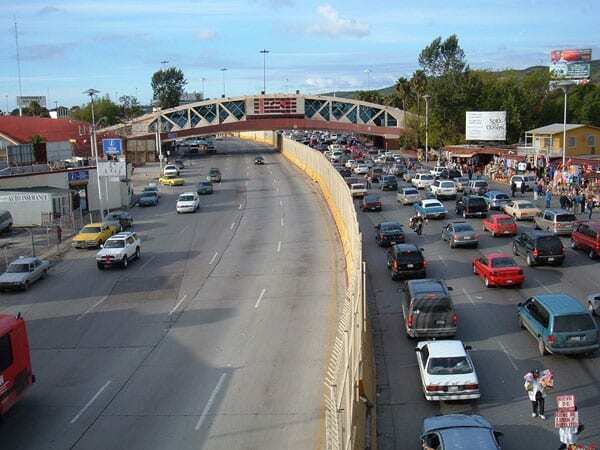 Together, the border cities comprise the largest binational metropolitan region in the world, cut in half by the world’s most trafficked international border. Each city has approximately 1.3 million residents, and yet their urban realities exist in stark contrast: a sprawling wealthy metropolis on one side and dense, informal settlements on the other. Peñalosa has taken alluring photographs of clouds, one set over Tecate, Mexico, and the other just over the border in the United States. The resulting pairings are poetic reminders of the borderless sky, in contrast to the artificial boundaries separating nations below.